Notable initiatives include Digital Academics, Digital Days, Digital Rush and STEM Teach Mapúa. Because of its high regard to innovation and digitalisation, Mapúa University has been employing new digital technologies to effectively deliver its education and improve its level of attainment of intended academic outcomes. According to a recent press release, the University is eyeing to launch a new set of fully online programs, namely the Master of Engineering and Master of Science (MS) in Computer Engineering, Electrical Engineering, Electronics Engineering, and MS in Mechanical Engineering. This follows after the successful implementation of its Master of Engineering in Industrial Engineering (MEP-IE). The aforementioned course is considered to be the Philippines first fully online, engineering graduate program. The offering was made possible when Digital Academics, the University’s online education platform, was launched. Prior to this, the University has already employed a plethora of digital technologies to effectively deliver education. For instance, the University initiated Digital Days back in 2017. The initiative allowed synchronous online lectures to be delivered to about 2,300 students in about 100 classes. Online undergraduate classes were also invested on by the University. Its implementation of the Digital Rush broke barriers in knowledge dissemination. Courses are scheduled from 7 a.m. to 9 a.m. and from 7 p.m. to 9 p.m., for its students to avoid the traffic rush hours. STEM Teach Mapúa was a new teaching-learning innovation launched by the University in 2018. It provided free online teaching enhancement trainings for Senior High School (SHS) teachers of the Science, Technology, Engineering, and Mathematics (STEM) strand. Online courses in Biology, Chemistry, Physics, Calculus, and Statistics subjects were made accessible to over 400 teachers nationwide. 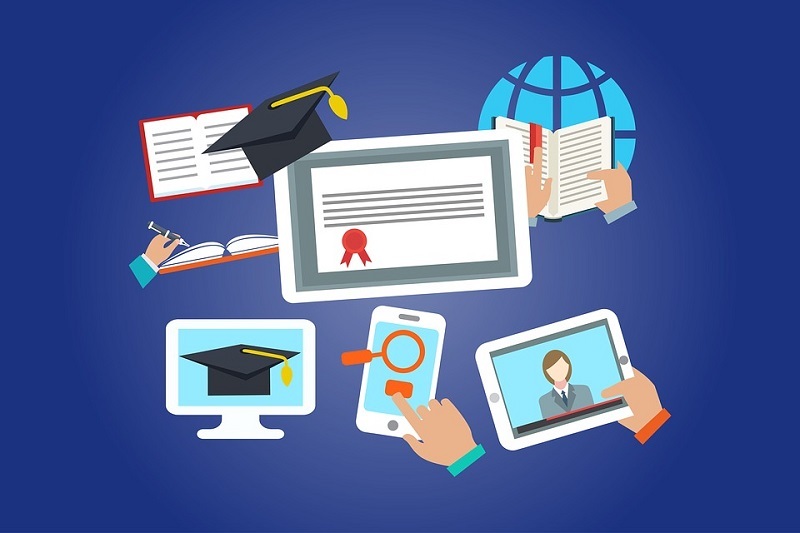 The University utilised its digital learning technologies such as the Blackboard Learn and Blackboard Collaborate, its learning management system, to deliver the trainings online. Moreover, the University was able to close a new partnership with a video platform for business and education in 2018. The company became the University’s lecture capture and video content management partner. The University may be the first university in the country to implement the use of the software in its online class discussions. The company’s integration with the Blackboard virtual learning environment will allow both students and teacher at the University to easily access and view classroom videos as part of their regular learning activities. The University takes a learner-centred approach to education, according to the Director of the University’s Centre for Teaching and Learning – Outcome Based Education, Dr Arnold Paglinawan. The software will help the University facilitate flipped classrooms and other blended learning pedagogies. These are anticipated to have a very positive impact on the learning experiences of the students. Having implemented a fully online program, the University is now looking into conducting studies on the effectivity of their online courses. A study will provide more insights and will help the University in the attainment of its desired student-learning outcomes.